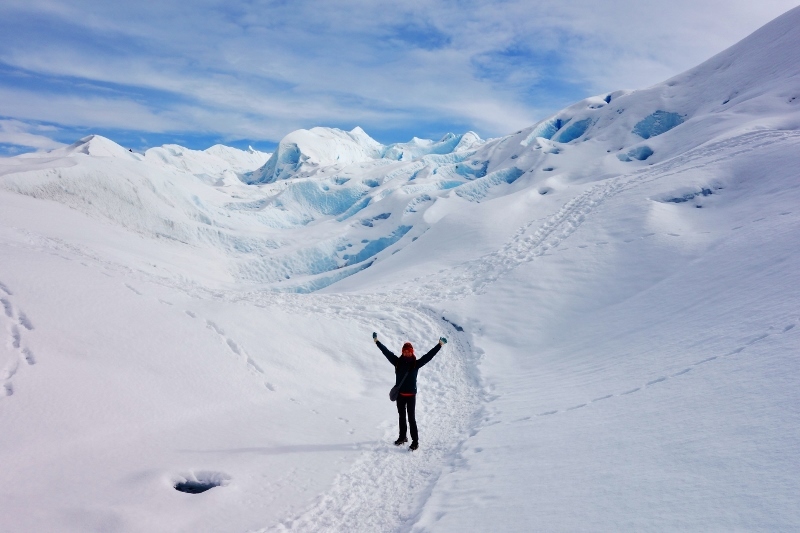 Patagonia in all its icy, snow-covered, wintery glory! Argentina is definitely an amazing country of contrasts. Packed away were the bikinis and tank tops – out came the toques, scarves, and wool gloves. 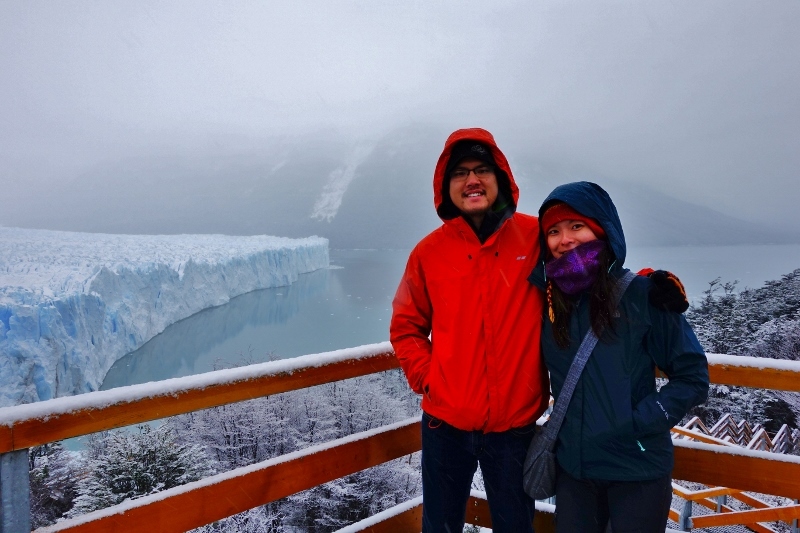 I was really looking forward to visiting Patagonia and after seeing the awesomeness of Iguazu Falls, Jason was also excited to see what else Argentina had to offer. 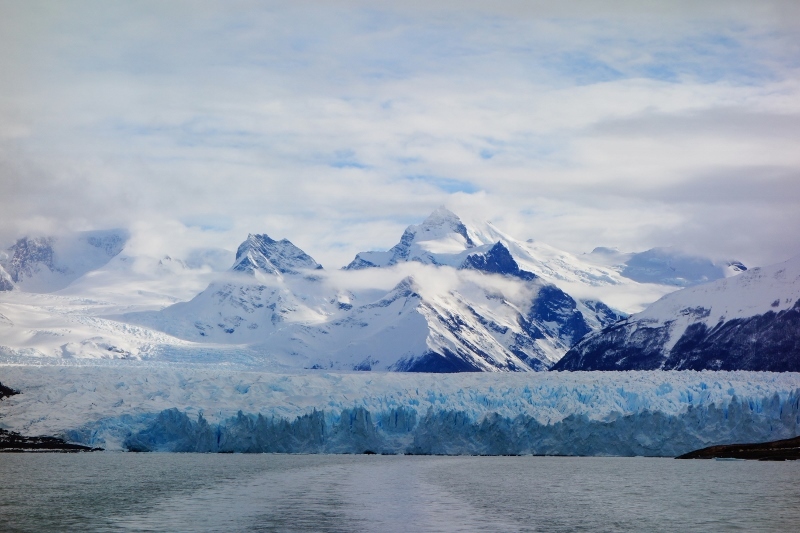 Patagonia is home to the Perito Moreno Glacier, one of my ‘photography travel‘ places, so I had high expectations of it. 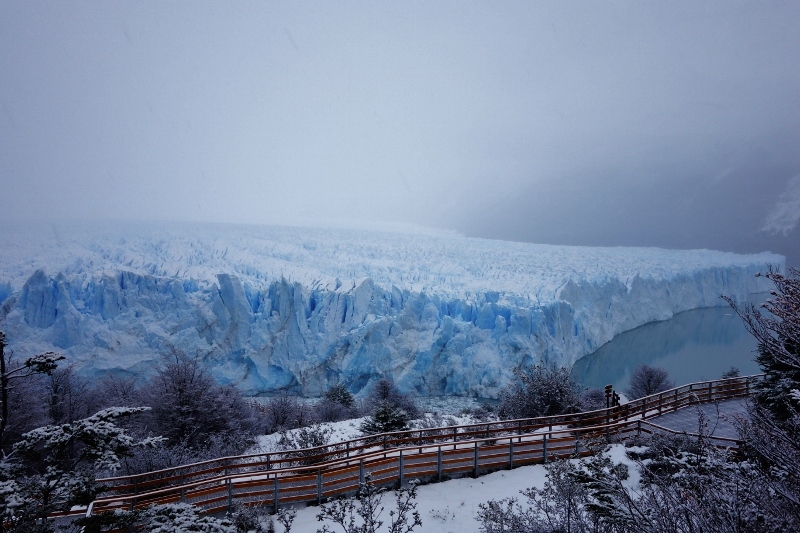 From Iguazu Falls, we flew into El Calafate, a small little town that serves as a gateway to the glacier. The morning of our glacier tour, there was a little mix-up and we almost missed our bus transportation to the glacier. Luckily, we were able to grab a cab and catch up with the bus while it was still picking up people from various hotels in the area. It was a pretty cloudy day, but I didn’t mind since that meant better lighting for pictures. 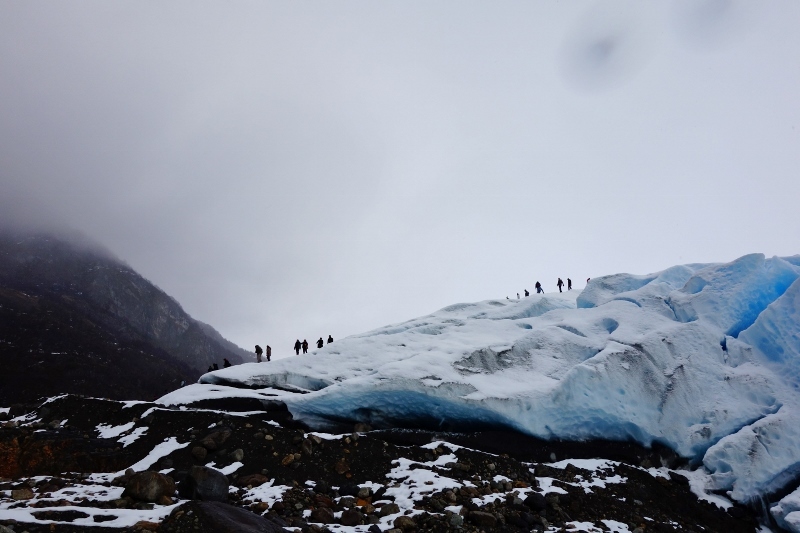 Our group’s first glimpse of the glacier drew audible gasps. The glacier is magnificent. 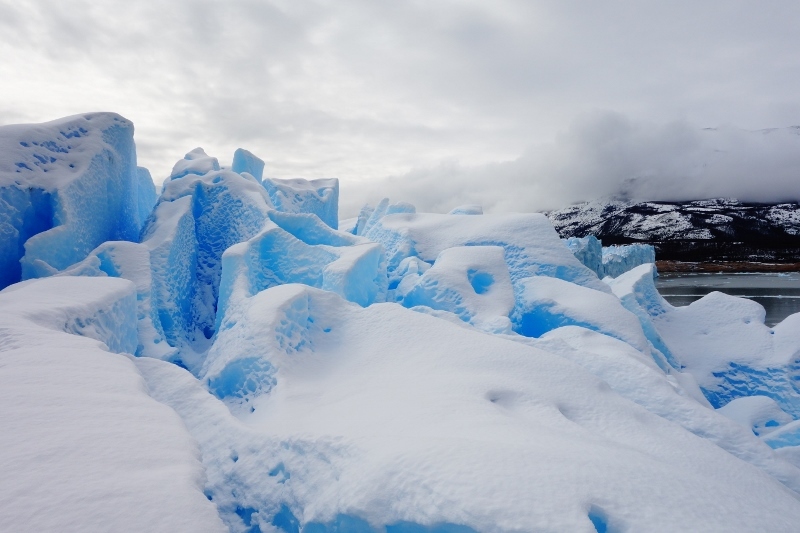 A huge expanse of blue-hued ice that stretched back into the foggy horizon. It was unlike any other natural wonder I had ever seen. 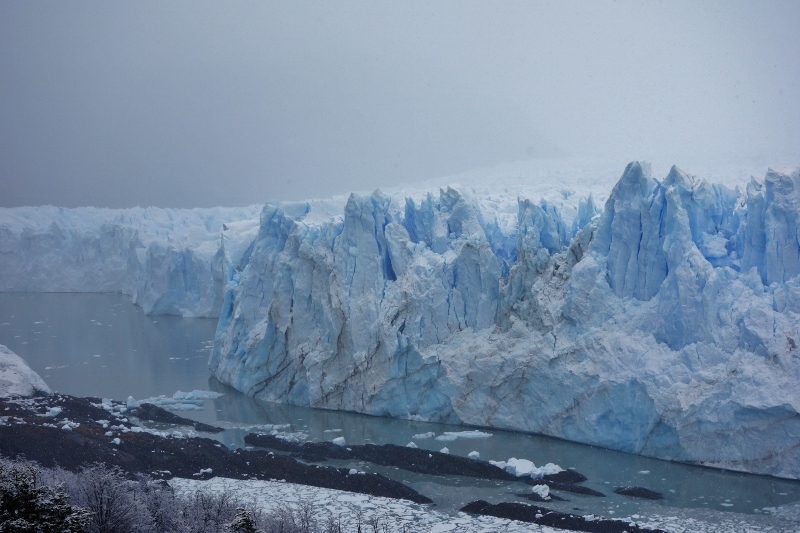 We spent an hour or so at the boardwalk area, which allows you to see the northern side of the glacier up close. Even after an hour of taking in the spectacular sight of the glacier from all angles, the feeling of awe does not disappear. I recalled to Jason about my first time seeing the Grand Canyon in the United States. It was amazing when we first approached the canyon; but after 10 minutes, the view got a bit old and I was ready to leave. 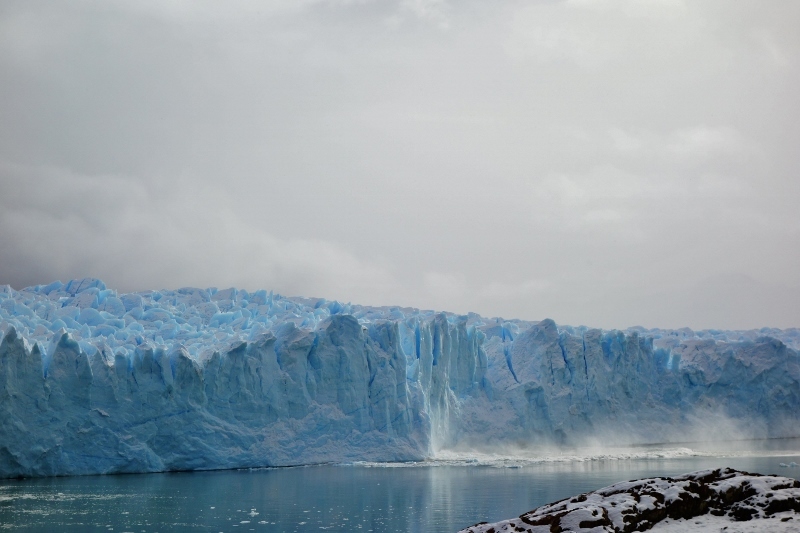 With this glacier, however, I found that every time I looked away for a few seconds and caught sight of the glacier again, it would take my breath away. We also got to board a boat that takes you right up to the southern side of the glacier. 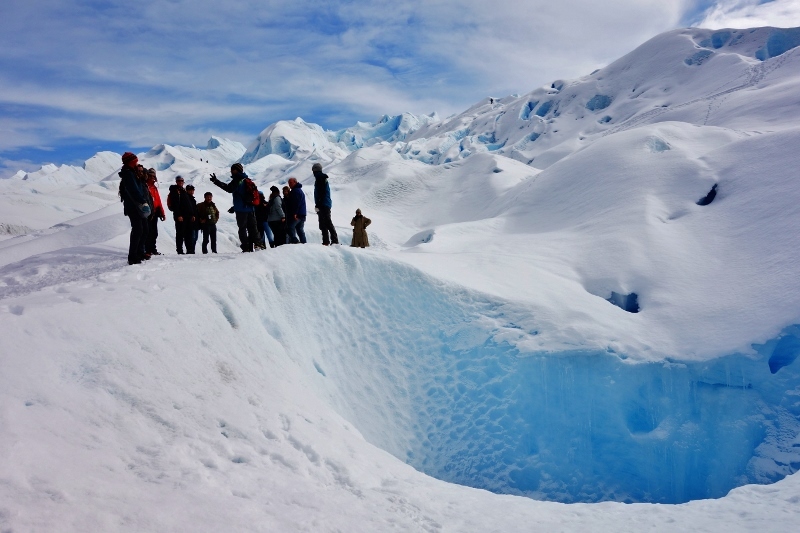 One of the coolest things you can see while visiting the glacier is catching a rare moment when ice calves or breaks off from the main glacier. 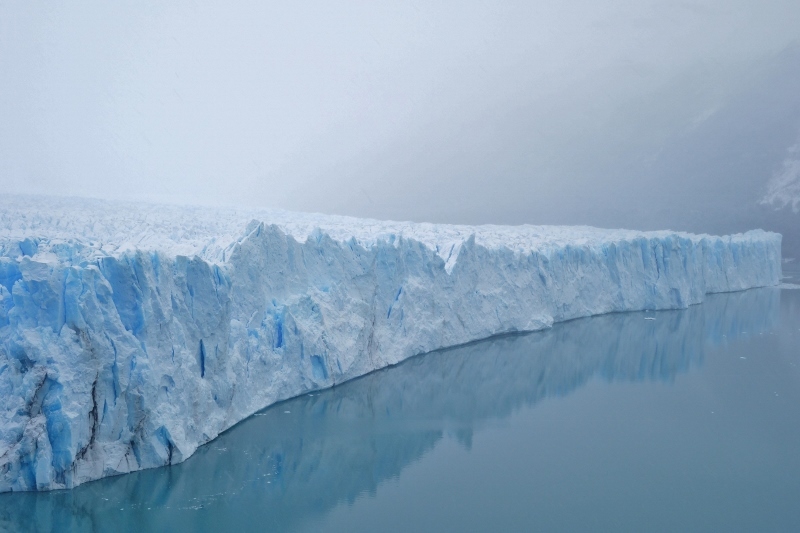 It makes a incredible thunderous crack before giant slabs of ice fall away into the water. 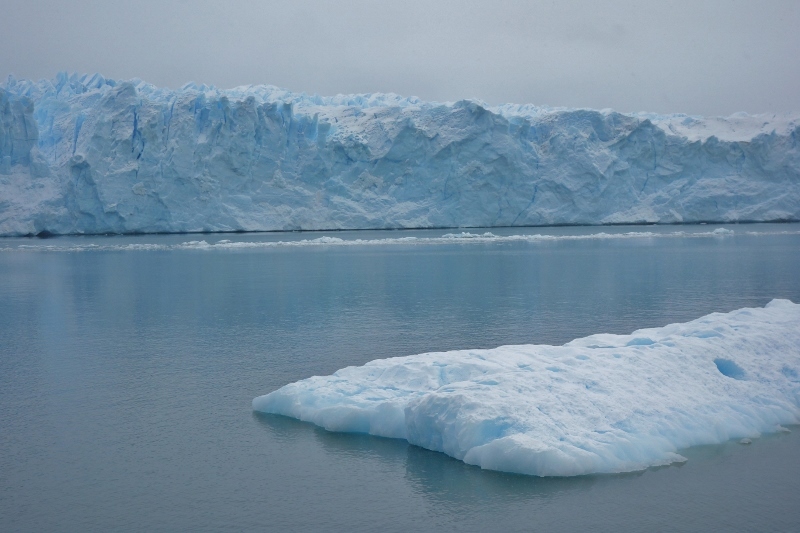 We saw a couple of smaller ice chunks break away from the northern side but was never able to capture it on camera. Later on that day, as the group started packing up and putting their cameras away, the loudest crack I’ve heard all day split the air. It happened so quickly that I didn’t get a chance to take my camera back out. You’ll have to take my word that it’s pretty incredible to see in person. I was able to get my camera out to capture a bit of the aftermath of the calving glacier though. 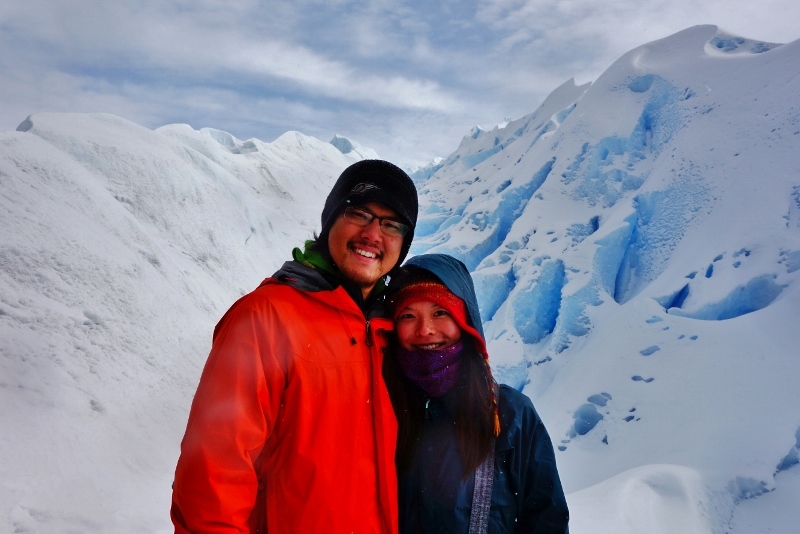 I would’ve been happy just admiring the glacier from the boat, but Jason and I were lucky enough to walk on the glacier! 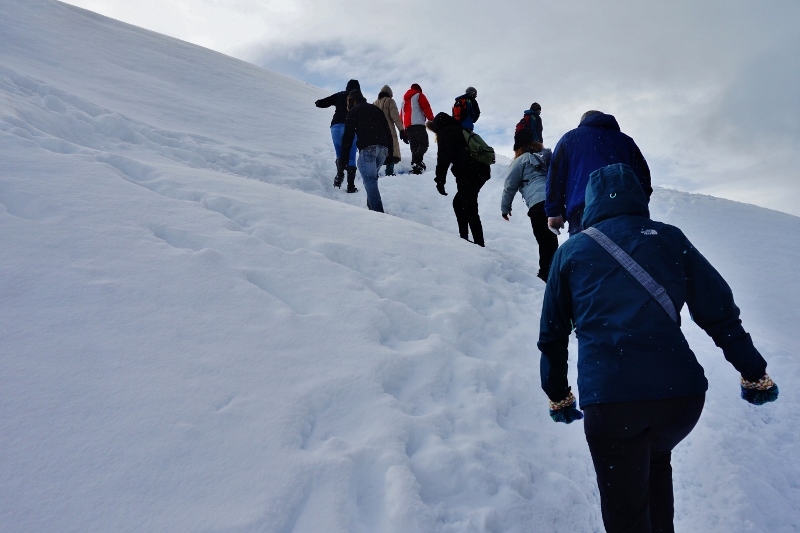 Another group of glacier trekkers that were making their way off the ice. One of the guides helping me get fitted for crampons – HUGE metal spikes that they tie to your shoes. One lady wore high-heeled boots. Not sure how they found crampons for her. In a couple of minutes, we were walking like pros. Crampons are like winter tires for people. 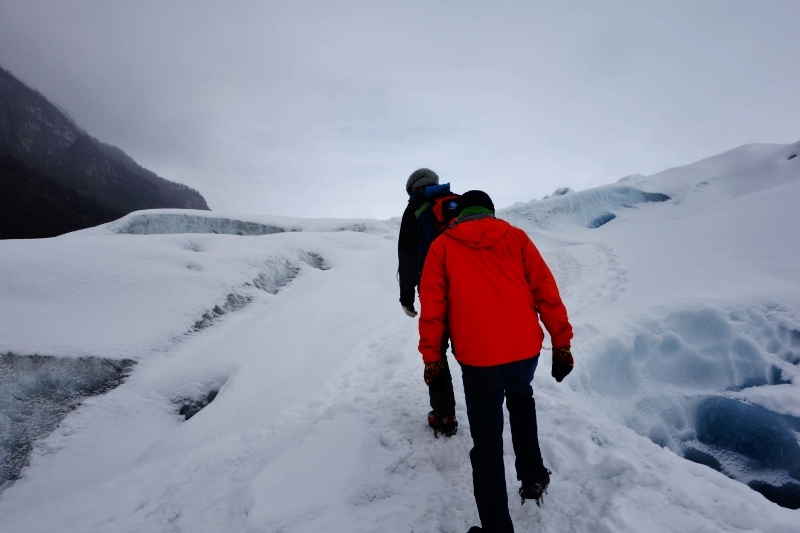 The steep parts were a little tricky but once you got the hang of it, it was pretty exhilarating walking on top of a glacier. It’s not all fun and games. I got lectured for walking too close to this giant sinkhole. 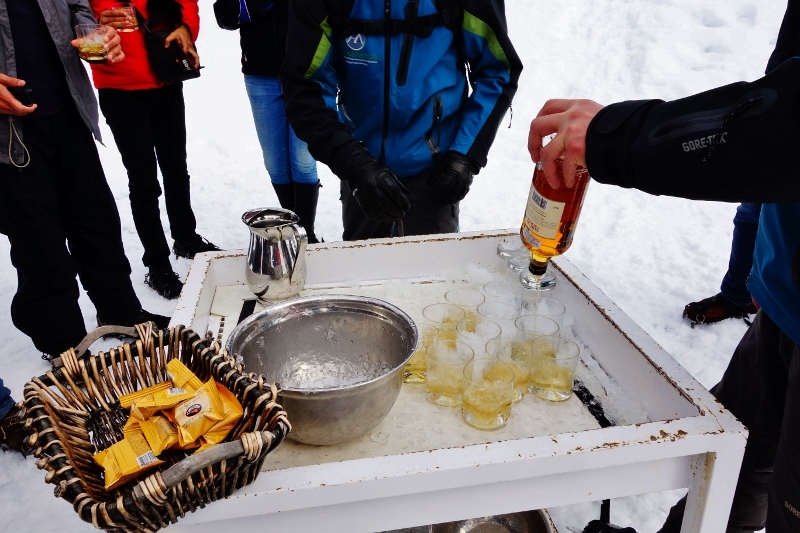 Our guides even surprised us with a little treat near the end: Scotch on the rocks over glacier ice and alfajores! Talk about an extravagant refreshment break. Now that’s what I call a refreshment break – Scotch on the rocks and sweets! Towards the end of the day, the skies even cleared up a bit. The glacier against the mountain setting is pretty breathtaking. Seriously still can’t believe how beautiful Patagonia is. Mind-boggling that we got to walk on this! Bye glacier, hopefully we’ll be back one day. Don’t you go anywhere. 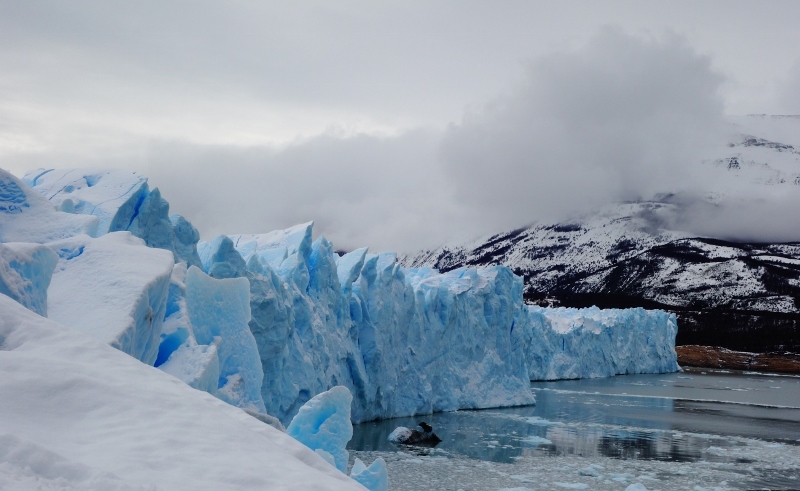 This entry was posted in Argentina, South America and tagged Argentina, blue ice, calving, crampons, El Calafate, glacier, glacier trekking, ice, Patagonia, Perito Moreno Glacier, Scotch on the rocks, South America, Trekking, walking by Jenn. Bookmark the permalink. I know, eh? You should add it to your bucket list too, Chanthan! What a beautiful scene, it seems so serene….excellent pictures! Was it super cold? I cannot believe one of the ladies wore high heel boot? !